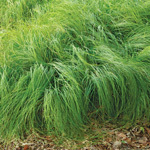 American beakgrain is an attractive, easy-to-grow grass. Because it spreads through rhizomes, it can colonize and be used as a tallish ground cover in forest settings or shady areas. It could also be used for erosion control on slopes and tolerates flooding. The long, arching leaves are attractive in winter when they are a bright tan color. Seed: Typically is very dormant and requires a long stratification period. Sow by mid-January for best results. Q: area i want to plant is behind a privacy fence and has full sun until afternoon when fence blocks sun will this work for erosion control ? A: Beakgrain grows best in rich soil. It spreads by short rhizomes and should help control erosion. If you have rich soil and the fence is not the only shade source, then this could be effective. 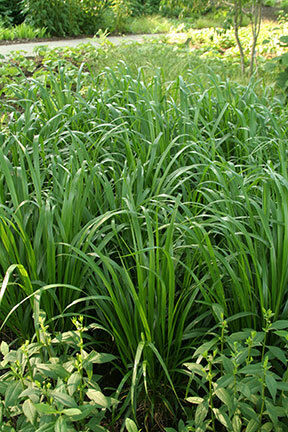 You could also consider some sedges, such as palm sedge (Carex muskingumensis) or globe sedge (Carex grayii). Another aggressive grass in sunny, moist areas is prairie cord grass (Spartina pectinata). Prairie cord grass gets taller, but tolerates more sunlight (including ambient sunlight that a privacy fence may not block sufficiently for beakgrain).